CEMENTERIO DEL NORTE. Cemeteries throughout the country become busy and crowded with people visiting their departed love ones especially on the two days that start in November. Like in all Catholic feasts, the celebration of All Saints Day and All Souls Day were originally of pagan practice. A Roman temple dedicated by the Emperor Augustus was rededicated in the seventh century by Pope Boniface IV to Mary and all the saints to signify the triumph of Christ over pagan gods. Hence, the Pantheon is the origin of the Filipino term for graveyard, which is pantion. MOUSOLEO DE LOS VETERANOS. The Mousoleo de los Veteranos de la Revoluccion at the Manila North Cemetery is our version of the Roman Pantheon. The domed structure of neo-classical architecture has been dedicated as a final resting place for revolutionary generals and prominent Katipuneros to signify their triumph over the 300 years of Spanish rule. ART DECO TOMBS. The practice of building highly structured graves can be traced to the ancient Egypt and classical Greece. At the height of the Art Deco movement in the 1930s, Greek and Egyptian inspired tombs and mausoleums were favored themes. NAKPIL-BAUTISTA. 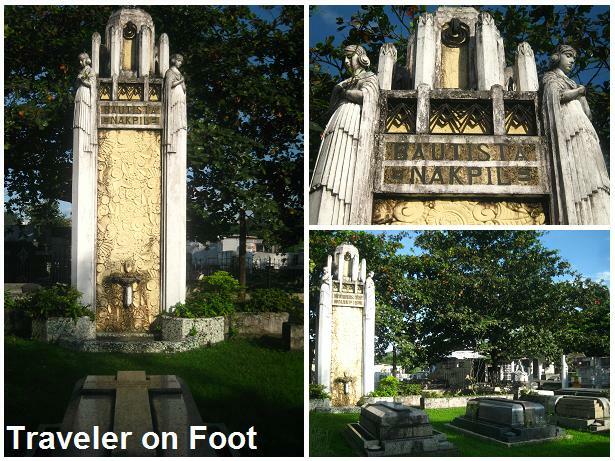 The monument erected in the family plot of the Bautista-Nakpil clan was designed in the prevailing Art Deco by one of the clans foremost member -architect Juan Nakpil. The monument is a vertical shaft enhanced along its edges with statues of Grecian women in sorrowful contemplation. HISTORIC PLOTS. The Bautista-Nakpil family plot is just one of the many special plots reserved for certain groups. Along North Cemetery’s main artery are special plots for the armed forces, firemen, Masons, Thomasites, and the 20 boy scouts who died in a plane crash on their way to the 11th World Jamboree. PANCHO VILLA. 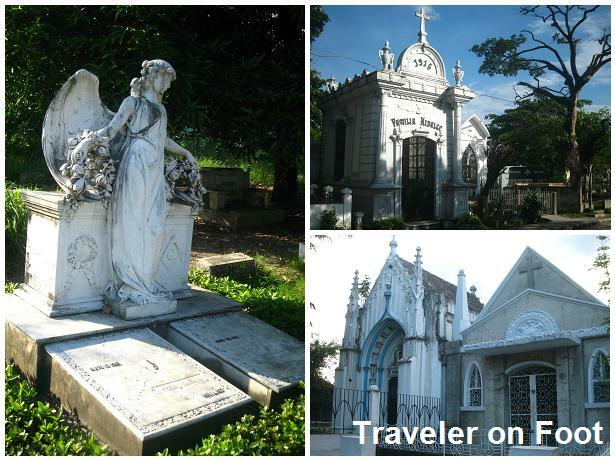 Important figures in Philippine history were laid to rest in simple and decorated tombs and mausoleums. Included in the long list are Philippine presidents, war veterans, politicians, artists, and even the boxing legend Pancho Villa.